Tailgate theft is big business! And now your out one tailgate and over $1000! Many truck manufacturers sell replacement tailgates by the piece? That means you buy the tailgate, the latch parts, the handle parts, the straps and other pieces individually! Then, you have to have the new tailgate painted and assembled at further expense! How can you prevent this mess? Get a Gate Keeper® ! What is the Gate Keeper®? A custom formed steel bracket that bolts right to the bed of your truck, or the tailgate itself (depending on the model,) preventing thieves from easily lifting the tailgate off the truck. Made from solid 12 gauge steel. Bolts right on, no cutting or drilling. 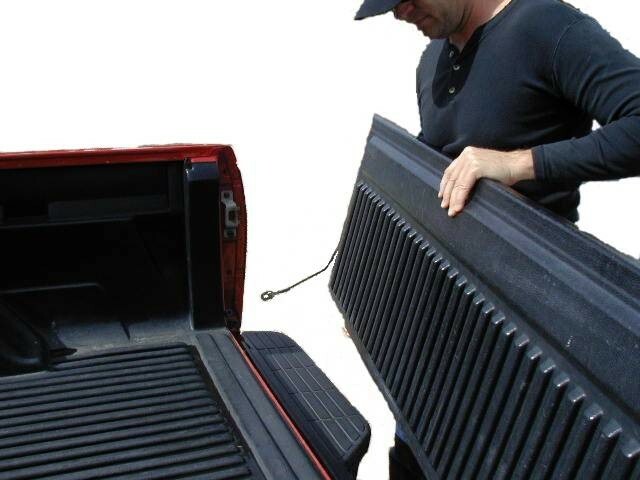 Most tailgates are easily removed in less than 20 seconds, without the need for any tools. 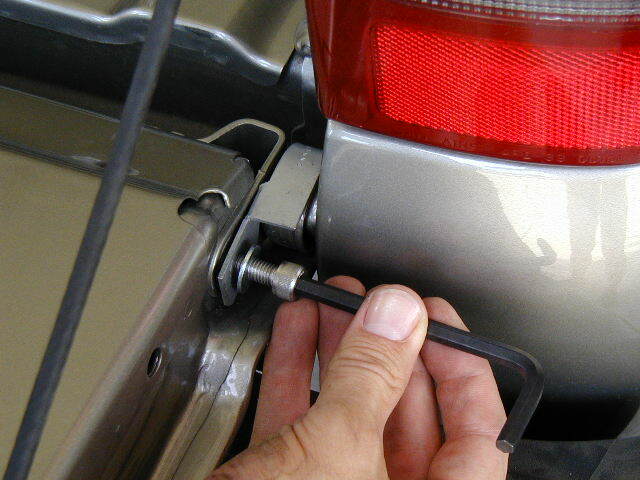 The Gate Keeper® bolts on and prevents the easy removal of your tailgate. Tailgates are easy to remove and worth big $$! The most common place to lose a tailgate? Shopping malls, grocery stores and home improvement store parking lots! The Gate Keeper® bolts onto your truck and covers the pivot point so the tailgate cannot be removed without proper tools. Five minute installation! Choose the right model for your truck from our model list. Thieves learned long ago that tailgates are easy to sell. 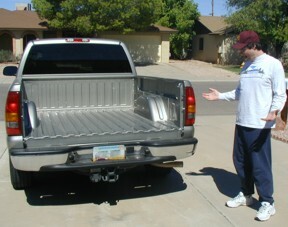 A trucks tailgate is often the first thing to be damaged either in an accident or through everyday use. When this happens, it is easy to find a matching gate, without damage, on someone else's truck. To buy a new tailgate through a dealer, the cost can easily add up to $1000 or more after painting, so if someone finds they can buy a nice used one for $200, the incentive is not there to ask many questions. Remember, even if you have a locking handle on your gate, it must be locked to prevent someone from stealing your tailgate. If you're not sure if your handle will always be locked, install a Gate Keeper® as an added level of security to ensure you won't be a victim of this expensive crime. Choose a model for your truck or see an installation tutorial. Ready to buy? See our dealer list or contact us. Questions? Visit our Gate Keeper® FAQs page. Interested in becoming a dealer for our products? See our dealers wanted page. 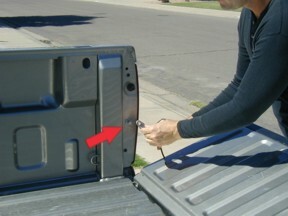 Notice: The Gate Keeper® is NOT a lock and will not protect valuables left in the bed of the truck. 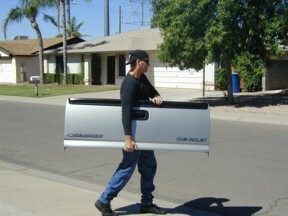 The Gate Keeper® is strictly a theft deterrent to help protect your tailgate from theft. See our warranty and product liability disclaimer page.